This weekend has several can't-miss events that you should add to you calendar. 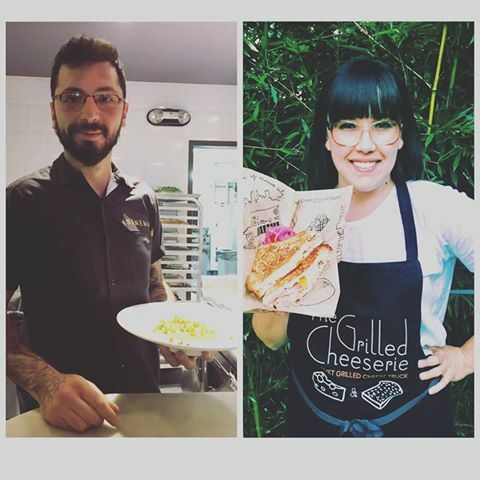 On Saturday, from 10 a.m. until 2 p.m., chef Kyle Patterson of Sinema will team up with Crystal De Luna-Bogan of The Grilled Cheeserie to make an epic version of the grilled cheese and tomato soup combo. This is the last of Sinema's Chefs at the Market series, the partnership that began earlier this year with pop-up restaurants in the Nashville Farmers' Market Grow Local Kitchen. The brunch will feature a special new melt from The Grilled Cheeserie, a croque madame made withKenny's Farmhouse Swiss & Norwood Blend cheeses, Benton's Country Ham, "mush-tard" (mushrooms from Bloomin' Shroom Farms) and a fried local egg on rosemary-garlic bread) paired with Patterson's "Campbell's Tomato Soup," Patterson's creamy version of the supermarket staple, made with tomatoes from Tomato Tomato farm. There will also be one of The Grilled Cheeserie's famous desserts, a pumpkin brulee & creme fraiche whipped cream (made with Howell Farm's Pumpkin Pie Pumpkins), craft sodas and water. Look for the special brunch inside the Market House. The Grilled Cheeserie truck will be in the farm shed as usual, too. Read more on The Nashville Scene .